Aristo Leak Fix Spray is Water base formula, it has same function as solvent base but much more environmental. 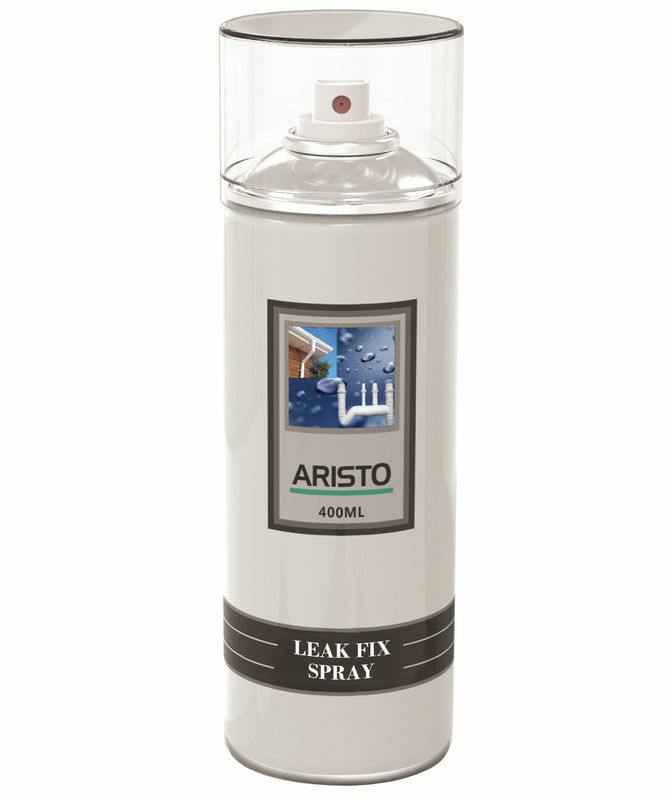 Aristo Leak Fix Spray features a superior, fast setting, green spray on elastomer with UV resistance that provides a flexible – no crake, no peel – coating that is paintable and long-lasting. Once cured, it will help prevent rust and corrosion and its anti-fungal formula stops mold and mildew growth. Aristo Leak Fix is ideal for either general maintenance or emergency repairs on roofs, drip pans, swamp coolers, cooling towers, gutters, downspouts, flashing, PVC drainage pipe, ductwork, pipes, hoses and more. Aristo Leak Fix provides up to 5 years of protection and withstands extreme temperatures of -30 degrees Farenheit to 200 degrees Farenheit without cracking and pealing. The elastomer coating remains flexible after drying with elongation upto 500%. Allowing it to accommodate substrate movement, including shifting, expansion and contraction.